Many continue struggling to make sense of Donald Trump's unexpected presidential victory, and in the hurricane of hot takes and theories being thrown out, a great deal of blame is being cast on Facebook. It's not only getting flack for building an algorithm that propagates an echo chamber of opinion, but more troubling, for failing to smack down blatantly false, hyperpartisan political news stories and hoaxes that trended across the site in the lead-up to the election. 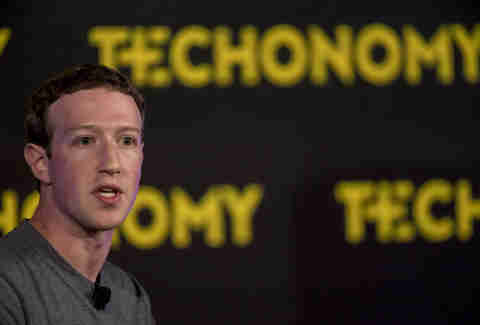 In recent days, Mark Zuckerberg has vociferously defended his company against the accusations, going so far as to say the notion that fake news stories shared on Facebook could influence the election in any way is "crazy." However, according to leaks spilling out from Facebook HQ, many employees are not only challenging their CEO by acknowledging that the company has a serious fake-news problem, they've also launched a "secret" internal task force to come together and help fix it. A "renegade" group made up of dozens of employees has come together to rebut what Zuckerberg said publicly. Facebook Thinks It Knows Your Ethnicity. Here's How to See It. According to BuzzFeed, a "renegade" group made up of dozens of employees has come together to rebut what Zuckerberg said publicly -- that fake news is not a problem -- and to determine whether enough resources had been put towards responding to user-submitted reports of fake news in their feeds. The anonymous employees quoted in the BuzzFeed story say the group has met in secret twice in the last six days, and "'hundreds' of Facebook employees had expressed dissatisfaction with the company’s stance on fake news in private online chats, and wanted to support efforts to challenge that position." These revelations come on the heels of a Gizmodo story that suggests the company has been debating internally since at least May about its duty to prevent the spread of misinformation to its users. Allegedly, it considered deploying a Newsfeed update that would identify fake and hoax news stories, but decided against it in the wake of the Trending Topics controversy. To refresh your memory, it was revealed in May that the team of editors who managed and wrote descriptions for the trending news stories on the site of your 'Feed routinely excluded those with conservative topics. According to sources who spoke to Gizmodo, the planned Newsfeed update to combat fake news would have disproportionately impacted right-wing news sites, so it's not surprising why Facebook higher-ups might have kiboshed it in an effort to stave off a conservative backlash. 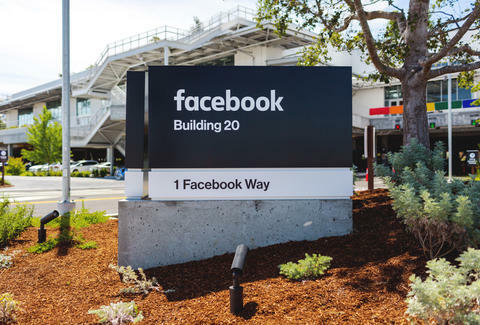 When Facebook replaced its team of human editors with an algorithm earlier this year, it faced widespread criticism when blatantly false stories quickly become trending stories. And while it's managed to thwart fake stories from trending in such a high-profile way, the fact is that fake news is actually way more viral than real news, and thus, it gets placed front and center in many of our Newsfeeds anyway. In fact, in the three months leading up to the election, Buzzfeed determined that the 20 top-performing false election stories generated nearly 1.4 million more shares, reactions, and comments than the 20 best-performing real election news stories from legitimate news outlets. Facebook is where 44% of Americans get their news. Until Zuckerberg steps up and takes action to stop the spread of potentially dangerous misinformation, here's what you can do: Download a browser extension like this one or this one or this one. Once installed, it'll alert you when a story you're reading is from a questionable source. Then tell every dad, mom, friend, crazy uncle, and former babysitter you know to download one too, and who knows, we might all make it out of here alive. Joe McGauley is a senior writer for Thrillist who only trusts stories from the most respectable sources, like Weekly World News.